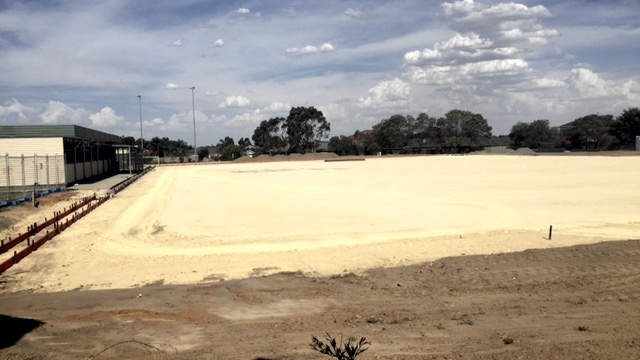 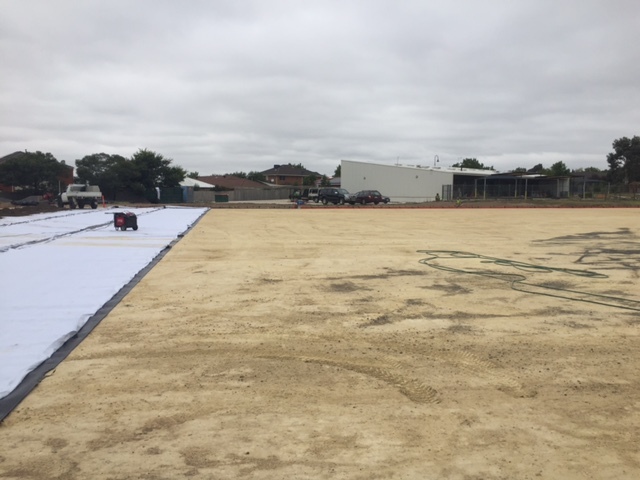 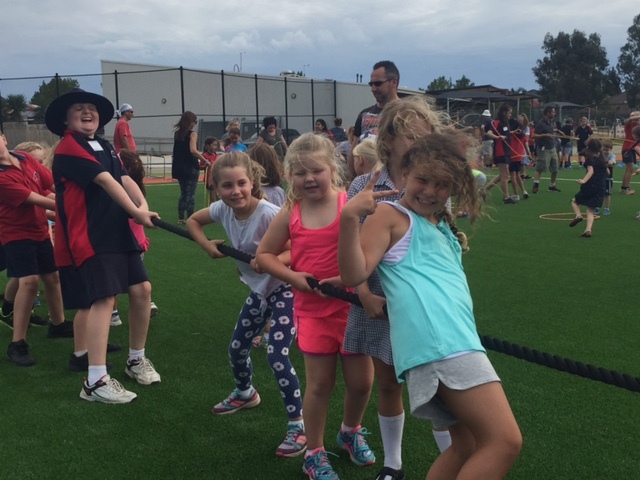 This photo taken from the playground at ELC – looking close to completion! 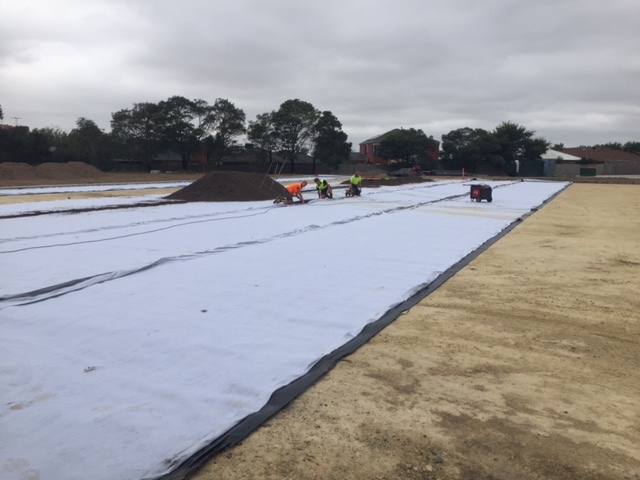 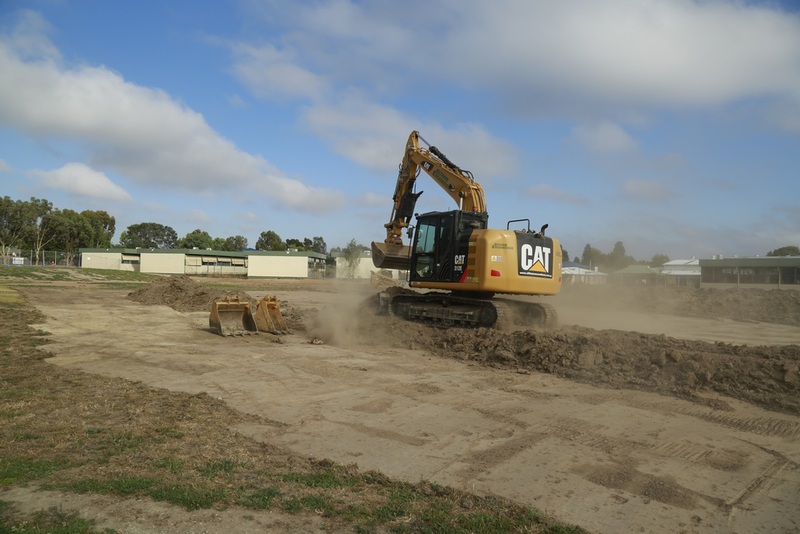 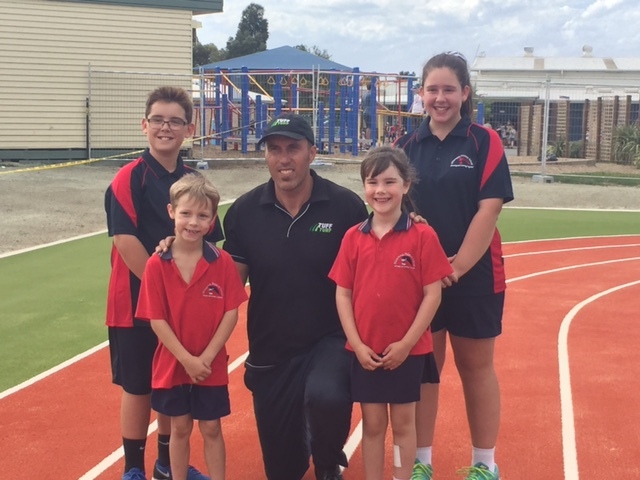 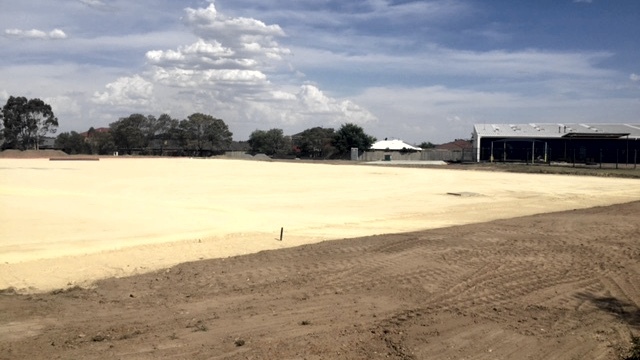 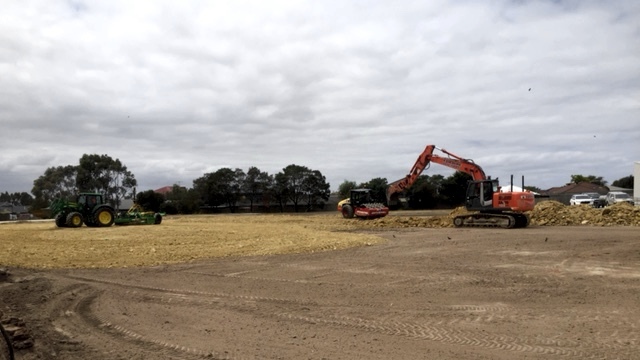 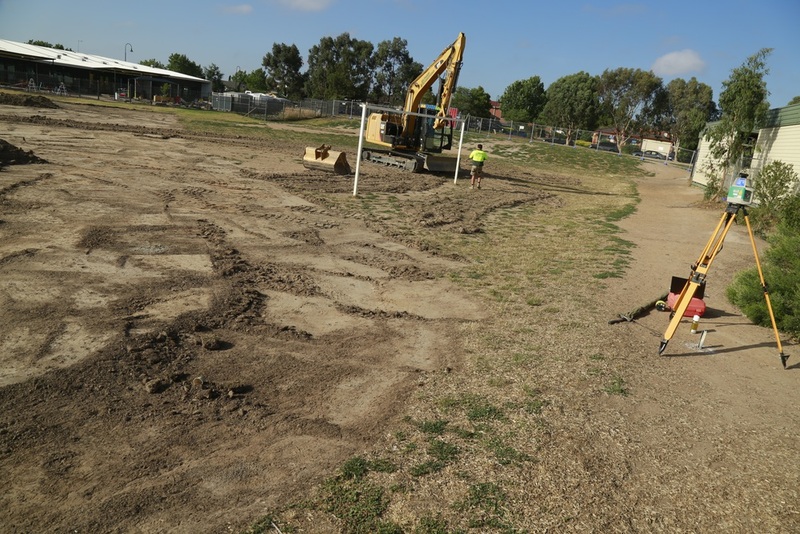 The re-development work on the school oval began today. 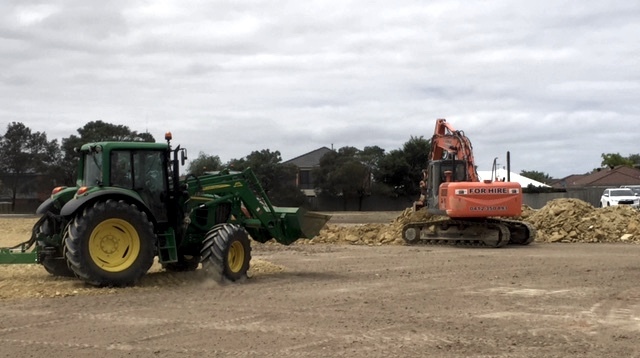 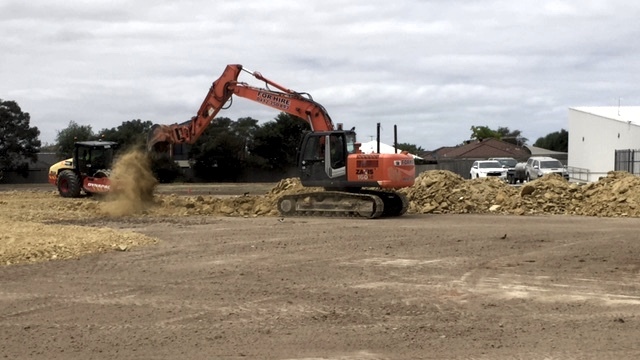 The excavators are in and are digging up the ground for our new synthetic sports oval. 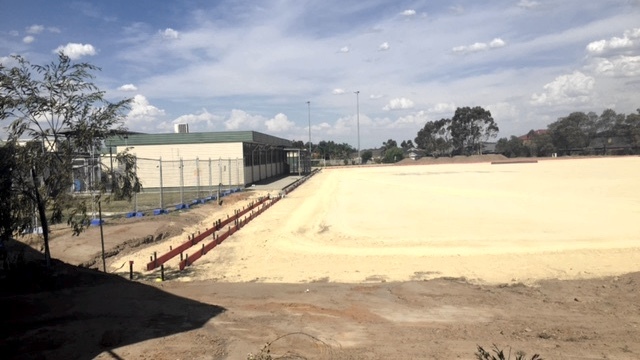 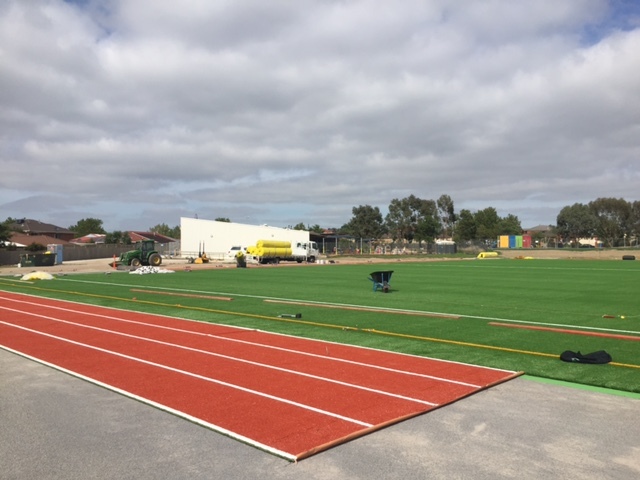 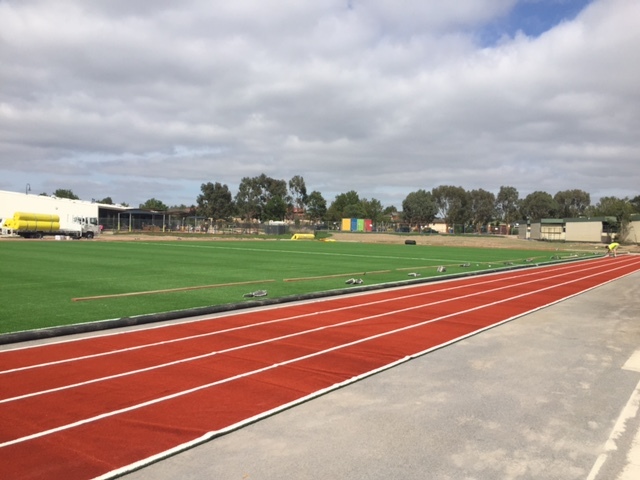 The oval should be completed by the start of Term 1, 2016. 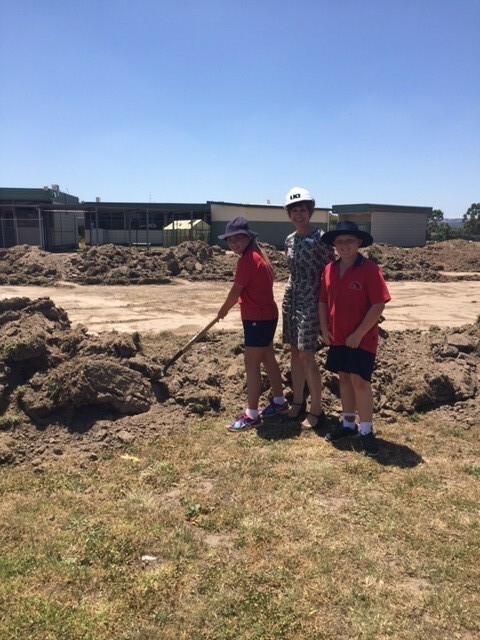 Below: Ms Harry (School Principal) getting things moving.